it started to snow heavy, but then it turned … to rain ? 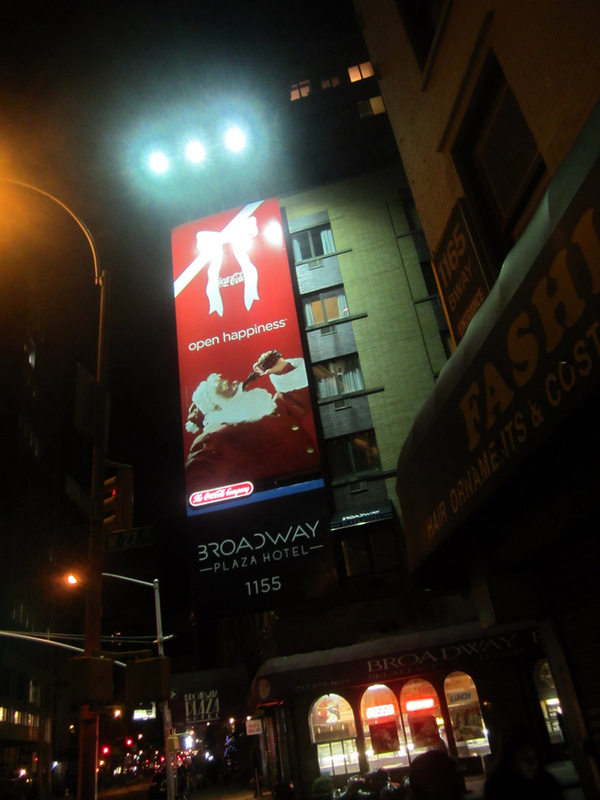 but one thing’s for sure – the city’s love affair with home girl LENA – continues to burn strong !! 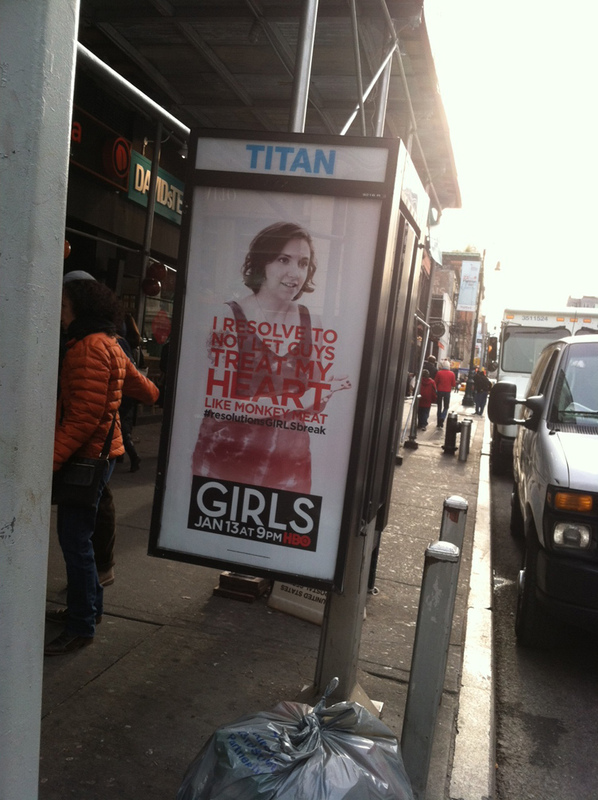 the ad campaign for the new season of ‘GIRLS’ – just went up on (mostly non-functional !!) payphones thru-out the city, or at least – for sure in Chelsea !! 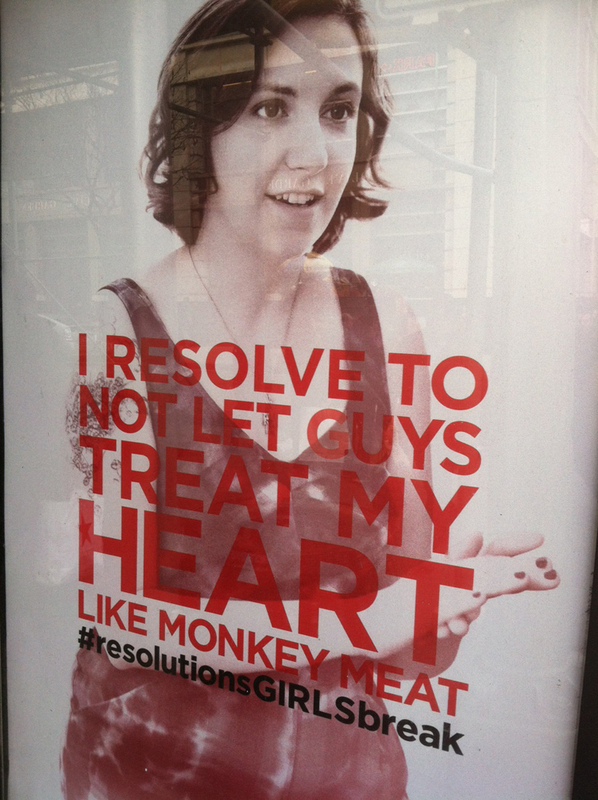 LENA’S says: I RESOLVE NOT TO LET GUYS TREAT MY HEART LIKE MONKEY MEAT. of course, JEMIMA has the f-u-n-n-i-e-s-t / and truest !! – last words !! 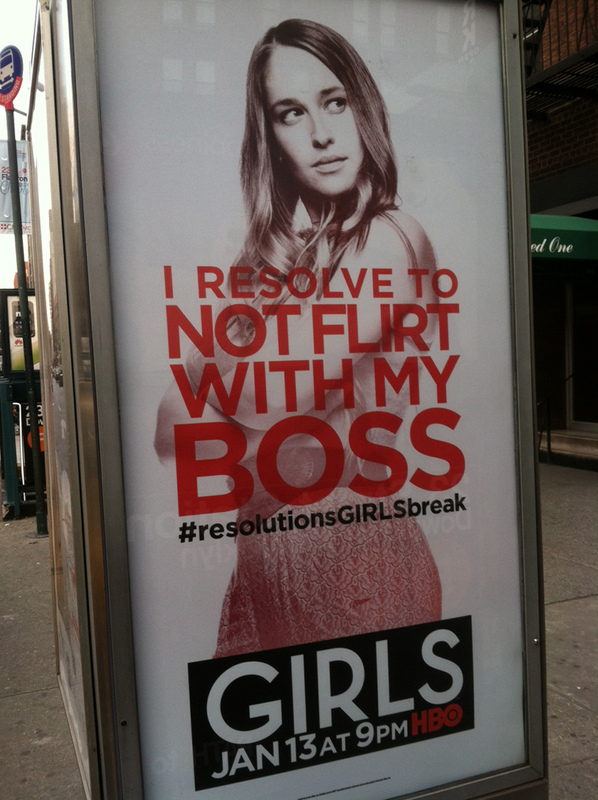 I RESOLVE TO NOT FLIRT WITH MY BOSS. 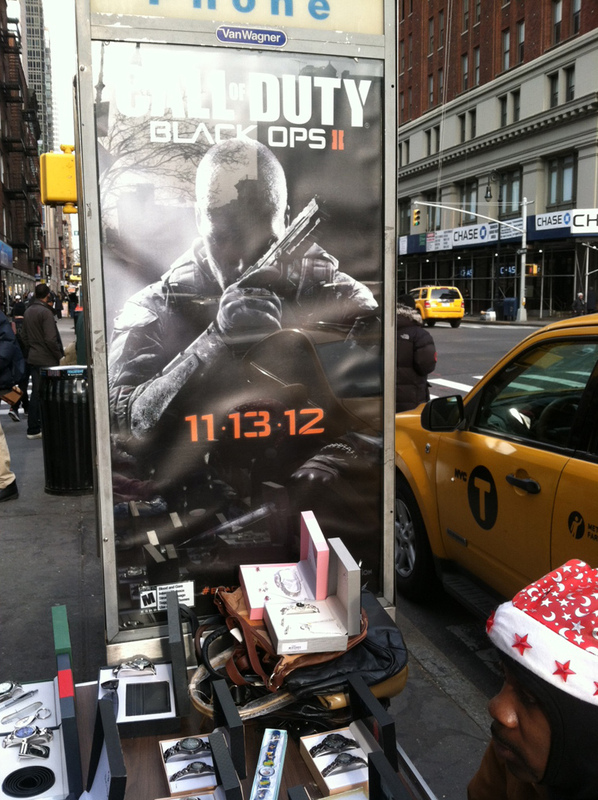 on the BOY side of things we have: CALL OF DUTY ?!! the game of choice of the Newton Town School MASSACRE SHOOTER – so I’m not sure what that all means .. about the males in this town, (“it’s just the demographic” ??? ), but apparently the ‘GIRLS’ – aren’t far off on calling .. their social skills. at any rate, one other thing’s for sure, just a casual stroll in this high-octane town is a high-end graphics design showcase, at every turn – any which way you look. the COCA-COLA ‘SANTA’ campaign this year – was particularly sweet . 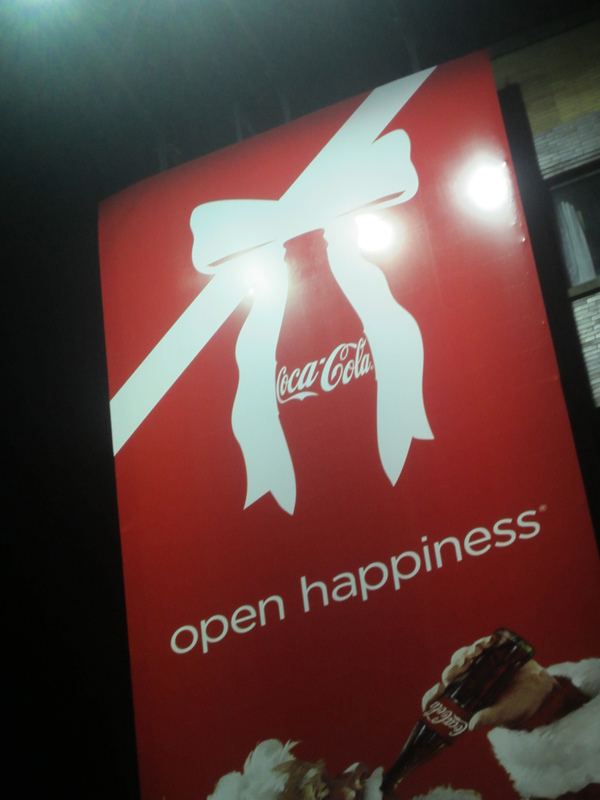 . .
love how that COKE bottle is nestled – in the bow. you gotta give it to the pros – they earn their dough. PHOTOS: NANCY SMITH. NEW YORK CITY, DEC 2012.